Annual Art Festival at Creative Arts Group. Nov 7-9, 2014. You’re invited! 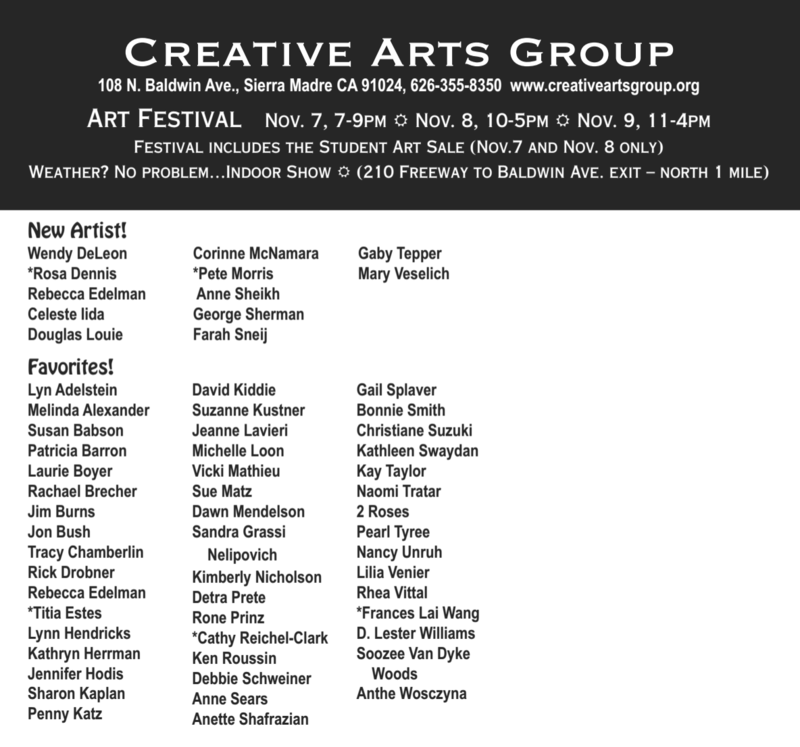 Creative Arts Group in Sierra Madre – November 7, 8 and 9. We are delighted to be participating in an Art Festival with such a talented group of artists. Just look at this list below! Please consider stopping by during the 3-day show and enjoy this feast for the eyes! Happy Autumn!